Keeping a message under 140 characters is hard enough, but you can shorten tweets effectively using these simple methods. 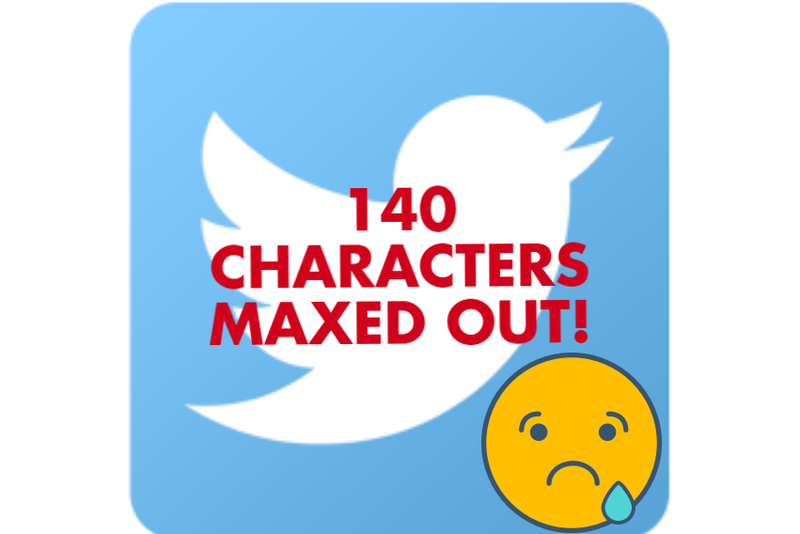 The Twitter 140-character rule has made it necessary to shorten tweets from longer messages written on more forgiving social media networks like Facebook or LinkedIn, but many marketers find cutting their messages down to be difficult. The trouble is to say what needs to be said without becoming too confusing or off message altogether. The key to rewriting tweets is more than just shortening them, but rather finding a more concise manner in which to say the same information as one would when writing an SEO-friendly title for an article or email blast. Sometimes we use flowery language to make something sound more impressive, but in reality, we are just less concise with filler words. Avoid using redundant words or phrases in tweets to tighten up your sentences. Original Tweet – There was a total of 12 stores in close proximity to the city that offered free gifts at 12 noon. Revised Tweet – There was a total of 12 stores near the city that offered gifts at noon. Keeping in sync with the previous point, you have no time to be coy with tweets. Avoid getting too wordy by getting right to the heart of the matter and only mention the most relevant information. Contain the longer explanations within a hyperlink that go to a more detailed landing page. Original Tweet – In my humble opinion, this policy works to the benefit of the community in contrary to what the public says. Revised Tweet – This policy works to benefit the community in contrary of public opinion. Services such as TinyURL or Bitly allow you to turn those long URLs into smaller chunks that don’t use up as many of those valuable characters. Writing in an active voice instead of a passive voice will help to keep your tweets more concise and makes who’s saying what clear to the reader. Using active verbs is an efficient way to cut down on characters in your tweets. Original Tweet – Blood was altruistically donated in the blood drive by Mike. Revised Tweet – Mike altruistically donated blood in the blood drive. Using contractions wherever possible to save a few characters. It’s OK to be a little more informal in tweets, and will still be grammatically correct. Original Tweet – The shipment from distribution has not arrived yet. Revised Tweet – The shipment from distribution hasn’t arrived yet. If pictures say 1000 words, then they certainly go well over the 140-character tweet limit. If you have more to say, you can always include a great image with some text overlayed into the image. However, it should be noted that images are to be used as a supplement and not a replacement for tweets; after all, a tweet isn’t a tweet without hashtags that can be registered by Twitter. If there was ever a time to crack open the thesaurus, this is one of those times. Another easy way to reduce character count is to take your long or complicated words and replace them with shorter words that don’t diminish the overall message. Original Tweet – The public felt melancholy about the latest news. Revised Tweet – The public felt sad about the latest news. A great thing about language, especially in a world of texting, is that there are multiple ways to convey the same information. Numbers, dates, phrases, and even now whole sentences are replaced with emojis. Abbreviating information will save you from going over the 140-character limit; however, be sure to use abbreviations that are very widely known to multiple audiences, so you do not accidentally alienate people. While you do not want to come off as illiterate, bending the proper grammar rules a little can help you shave off few extra characters, whether it is a stray comma, period, or other bits of punctuation. This last one pretty much goes against the Associated Press (AP) style standard in writing online content, but we are not writing an article here. When you need to shorten tweets, use the actual numerical values and symbols to save some room. Need more ways to shorten tweets or social media tips? Contact us today!